people believe that opting for self storage is not a budget friendly alternative. However, that is far from the truth. Most of the times, such units end up to be quite profitable for the company in question. There are different types of commercial storage facilities to meet the needs of people. From a top businessman to a person running a small start-up organization, everyone needs a storage unit to stash away the large amount of goods and produce. Commercial storage is quickly developing as a reliable source for all businesses. Mentioned below are its three main types. 1. 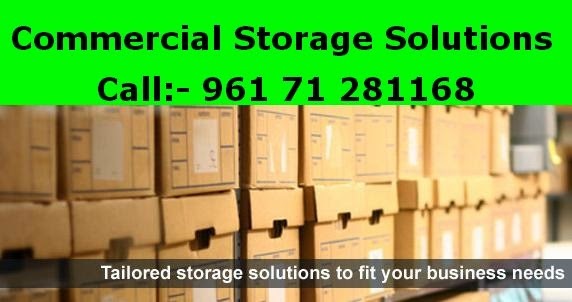 Standard storage units – If you’re planning to free up some space in the office and reduce the clutter of files and other forms of paperwork, then you can opt for one of those standard storage units. They are the ones that are normally used for all your business needs. You can organize the unit as per your requirement. They are available in three standard sizes of small, medium and large, and you have the flexibility to choose any one of them as per your need. 2. Climate controlled units – Large scale retailers and wholesalers generally opt for climate controlled units. That’s because such spaces help to protect the products from moisture and infestation. A stable temperature is maintained in the unit that helps to protect the goods from mildew, mold and other microbes. This makes it an efficient alternative as compared to other kinds of storage units. Food materials are normally stowed in such units as such commodities are very sensitive to the ambient temperature. 3. Portable storage units – This is one of the most convenient forms of self storage you have in your hands. Especially while you’re revamping your office or any other place, you can easily move your things from one place to another by using this kind of storage. So you don’t have to arrange for a separate moving service as all your needs are met by these portable storage units alone. These are the 3 types of units available to meet all your commercial storage requirements.